If you are a young dancer serious about spending a summer immersed in movement with like-minded peers and stellar faculty, consider looking abroad toward Israel, a country rich in groundbreaking contemporary dance, and one of its leading companies, Kibbutz Contemporary Dance Company. While most top dance companies are based in major urban areas, Kibbutz Contemporary Dance Company’s heart and home is located in a kibbutz (a communal village) located in Ga’aton on the rolling hills of the historic Galilee region of northern Israel, overlooking the Mediterranean Sea. The International Dance Village is truly a unique location unlike any other in the world. It is the life project of world-renowned choreographer Rami Be’er, the Artistic Director of Kibbutz Contemporary Dance Company, widely-recognized as one of the top international contemporary dance companies. Through his vision, leadership and dedication over the years, the International Dance Village has developed into a first-class dance center, offering 10 dance studios, a performing arts center and theater, a café and restaurant, a swimming pool, a social hall and much more. It has truly become a haven for dancers and dance students from all walks of life, from around the world. Read on and learn more about the Kibbutz Contemporary Dance Company’s Summer Intensive program, and visit their website for more details. DA: What makes Kibbutz Contemporary Dance Company’s Summer Intensive special? The Summer Intensive program hosted by Kibbutz Contemporary Dance Company is one of a kind for several reasons. But first and foremost it’s because it’s the only one taking place at an International Dance Village. This special dance place has a strong tradition of innovation in contemporary dance, as the founder, Yehudit Arnon, a Holocaust survivor, envisioned bettering the world through the creation of a strong dance community. She founded the dance company and the International Dance Village in Kibbutz Ga’aton in Western Galilee of Israel in the early 70’s and shortly thereafter, collaborated with renowned choreographers such as Mats Ek, Ohad Naharin, Jiří Kylián, Christopher Bruce, Kei Takei, Susanne Linke, Hada Oren, and Oshra Elkayam with the purposed of keeping the contemporary dance community in Israel fresh and innovative. Her work has been proudly sustained and continued by Rami Be’er, the Artistic Director of Kibbutz Contemporary Dance Company. In this context, 10 years ago, the Summer Intensive was born to offer young and aspiring dancers, high school and university aged dance students from all over the world, the opportunity to discover a unique and innovative dance environment, where they could express themselves and evolve as professional dancers. We can proudly attest to the fact that alumni and past participants at our Summer Intensive have repeatedly said that they’ve gained a new family here, aside from learning a lot of impressive and advanced dance techniques from renowned teachers. They’ve also developed a deep connection with one another, which was one of the best take away from the Kibbutz Summer Intensive. 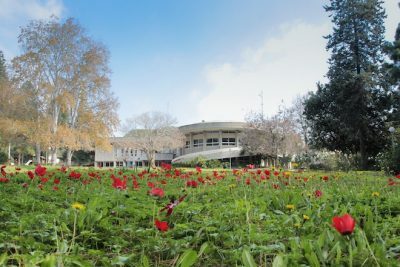 Young students get to live in the beautiful and inspiring International Dance Village along with Kibbutz Contemporary Dance Company’s dancers, teachers and choreographers. They have the opportunity to learn so much from them while also seeing them perform live. It’s like no other place you’ve seen before. For dancers coming to study and live here; whether they’re company dancers or studying at our Summer Intensive, it’s really a dream come true and a place of inspiration, creation, community and peace of mind. DA: Can you tell us about the audition process and what students can expect? Coinciding with our belief and desire to offer young and aspiring dancers from around the world with a first-class dance education during their summer break, we’ve made it a point to not require dancers and dance students to audition for the Summer Intensive. Instead, we’ve created a Summer Intensive, offering an opportunity for dancers of all levels to attend and study with us. From beginner and intermediate level dance students to more pre-professional dance students and dancers, we offer five different group levels so that the Summer Intensive can accommodate for all students of all levels and all backgrounds from across the world. DA: How can students best prepare themselves for an intensive summer program abroad? There is nothing specific that students necessarily have to do in order to prepare for the Summer Intensive aside from getting themselves psyched and excited to have the time of their lives; dancing and learning from one of the world’s leading contemporary dance companies in an International Dance Village like no other in the world, overlooking the Mediterranean Sea while making lifelong friends and new connections like-minded dancers and inspirational teachers from across the world. DA: What kinds of cultural or social activities can students participate in during this Summer Intensive? Having the opportunity to live on a kibbutz (a communal village) where the International Dance Village is situated alongside our main and second companies, is quite a special experience. This is your chance to live in the serene, beautiful, and historic Galilee region of Israel where you’ll be able to explore the region, its historic landmarks such as the ancient city of Akko, Jerusalem, float on the water of the Dead Sea (the lowest place on earth! ), and hang out with friends on the beaches of the Mediterranean Sea. Following classes each day, we offer free time to swim and relax by our pool with friends and around the kibbutz and after dinner, we have fun and engaging social activities of all kinds. DA: What specific advice do you have for students, so they can get the most out of their experience with world renowned faculty? Our best suggestion is to arrive to the International Dance Village and the Summer Intensive as a ‘sponge,’ willing to listen and absorb all the new information, dance techniques, and repertoire that you’ll be learning together with fellow participants from our teachers and company dancers. This is a truly special opportunity to be able to study firsthand with professional dancers, choreographers and international teachers with vast experience and offers a tremendous chance to improve yourself exponentially from a technical standpoint but at the same time, develop yourself as an artist while developing on a personal level from such an international dance experience. DA: What are two or three tips you can share for dance students traveling to Israel for the first time? Israel is truly a wonderful and unique region of the world with a plethora of history, diversity, culture, great cuisine and is also widely known as global leader in innovation and technology. With that said, the dance scene in Israel is also world-renowned and therefore there is much to offer for dancers and dance students coming from abroad for these special summer dance workshops. Naturally, summertime in Israel offers perfect summer weather, so prepare yourself for that as well as being immersed in an extremely welcoming community that is the International Dance Village; where dancers from all backgrounds are welcomed and are given support and guidance by our staff and faculty as they continue to develop in their careers as blossoming dancers. Go deeper inside Kibbutz Dance Company’s 2018 Summer Intensive, learning more about the faculty, classes and how to register at 4dancers.org. Visit the website for the Kibbutz Contemporary Dance Company’s 2018 Summer Intensive. 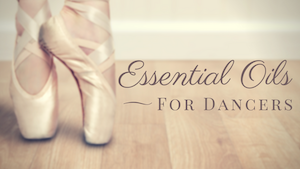 Disclosure: Dance Advantage received compensation for publishing this sponsored post.